Map 2016 — Piano. Push. Play. 2016 is a fabulous year! Here are all the places you can see pianos this summer. Zoom out to see all the locations from Kelley Point to Powell Butte. Zoom in to see all the places we're visiting on the streets and parks of Portland. The pianos are traveling far and wide this summer! Click on each location to see more information. Updated 20 July 2016. Colorful Anna found her forever home at Luscher Farms in Lake Oswego. The elegant Clara is located in Cartlandia, off of SE 82nd Avenue. Graceful Nadia was recently moved to her forever home with Youth Music Project. The beautiful Nina is available at the Tidbits food cart pod. Street corners, food carts, and city parks... Oh My! Here are just a few of our locations this summer. 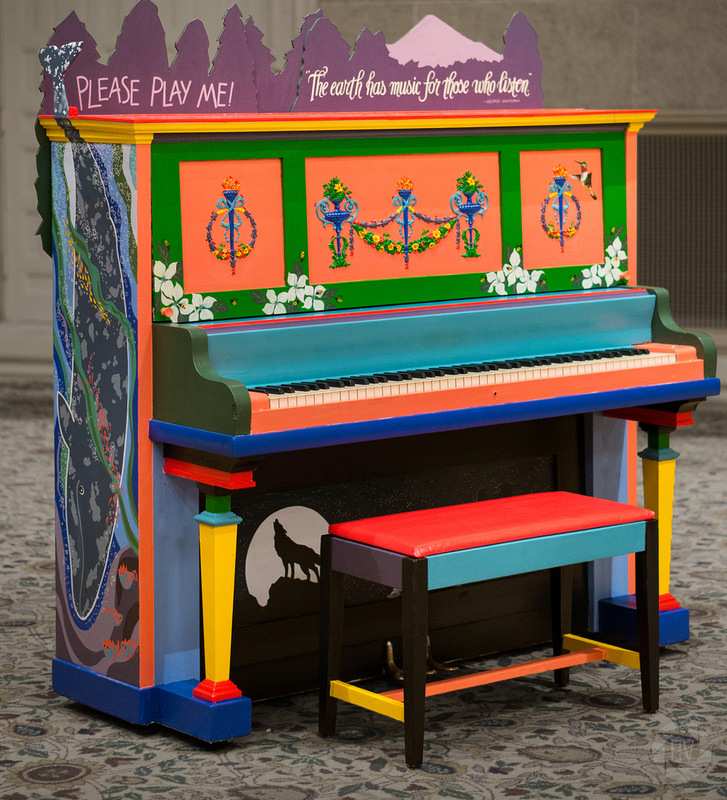 Sign up for our newsletter or follow us on Facebook to hear when the pianos arrive at your favorite location.